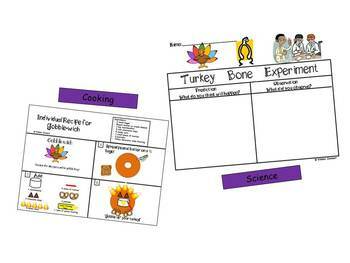 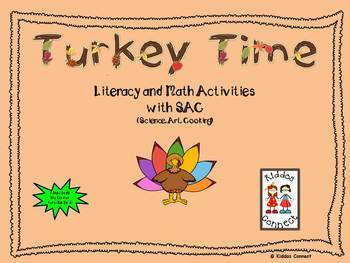 Turkey Time is a unit about fun turkey learning experiences incorporating literacy and math activities aligned to the Common Core Standards, as well as, SAC (science, art, cooking). 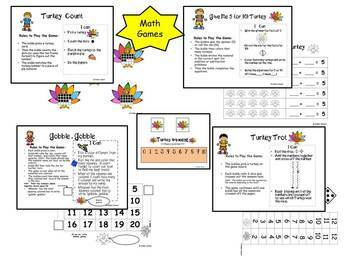 It includes hands-on games, printables and emergent readers. 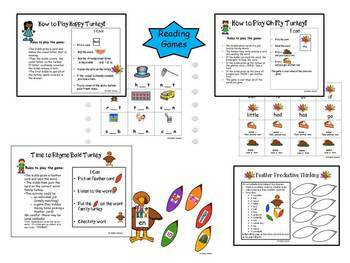 The unit includes original books, finger plays and songs for shared group reading and follow up kiddo copies for guided reading.The games and printables will extend the learning experiences for the kiddos.